Who doesn't know about the TITANIC? The famous British ship that was designed to be unsinkable. 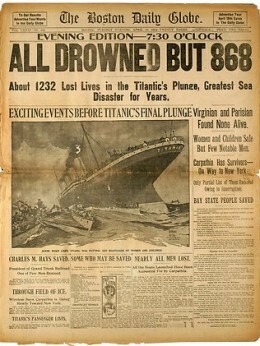 2224 passengers aboard, set sail from Europe to North America and sank on 14th April,1912.